When you visit other cultures you learn so much about the world and about yourself. You discover new perspectives and broaden your horizons, and learn that things can be done in many different ways. You grow as a person. I have always been interested in international issues and I think exchange and international contacts are very important. I think the world would be a much better place if we connected more across cultural, geographical, age, and religious borders and barriers. I see working with exchange programs and international contacts as important both for the personal development of those involved and as a greater project for peace and tolerance. 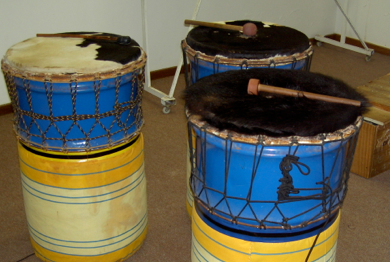 A primary and secondary school in South Africa which reach amazing results, both artistically and academically. Since 2007, they have an ongoing exchange with Kulturama primary and secondary schools in Stockholm. A film about the exchange with Lady Grey Arts Academy. Produced by young people – for young people. When I was young I lived in Tanzania for a few months. This transformed my way of looking at life, and when I returned home I had changed on many levels, including musically and personally. I revaluated many things and became very interested in international issues and different cultures. I have now worked in many countries and made a number of international study trips. Since 2003 I have regularly lectured at international conferences and taught at foreign universities. I am also active in several international networks and try to encourage increased exchange and contact between people from different cultures. 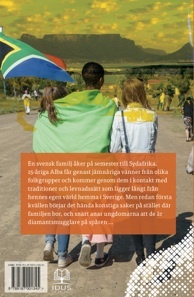 Between 2003 and 2010 I was project leader for the Linnaeus/Palme exchange program between KMH and the University of Cape Town, a Sida funded program that includes student and teacher exchanges. Consequently, I have initiated and supported various exchange programs between schools in South Africa and Sweden, and initiated informal exchanges between music teachers at arts schools and Universities. Currently I am engaged in several projects and exchange programs. I am project leader for the Linnaeus/Palme exchange program between KMH and the North-West University in Potchefstroom, as well as being engaged in various forms of exchange with the Lady Grey Arts Academy. I also organize study trips and photography trips to South Africa. Ulwazi is a word in Zulu/Xhosa meaning knowledge or wisdom. I wanted to share a little piece of everything that I have experienced in Africa, and it resulted in a story that takes place in South Africa. South Africa has many different groups of people and calls itself ‘The Rainbow Nation’. The story follows the life of some black, white, and coloured families. 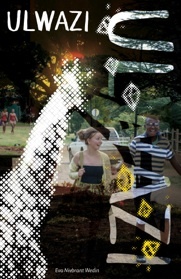 Ulwazi is written as an exciting story for young people, but also contains descriptions of South Africa’s history and culture. The story is fictional, but all the environments are real, as well as the different communities. I have friends from all the ethnic groups described in the book, and the various traditions and ways of living described are based on stories that they have told me. I wrote Ulwazi out of love for Africa and the African people. I am so grateful for all that living and working in Africa has given me.